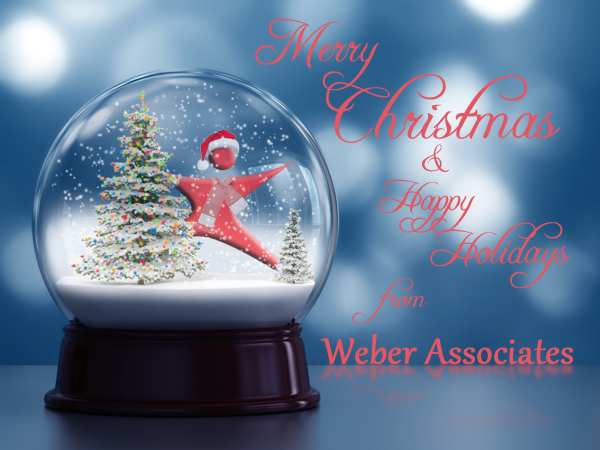 From myself and the team at Weber Associates, Merry Christmas and Happy Holidays! Thank you for another wonderful year, and we look forward to serving your training and keynote needs in the new year! This entry was posted in Uncategorized and tagged Success, Team on December 19, 2012 by Dave Weber. The longer I live the more I see the negative impact that mediocrity can have in virtually any situation. From a mediocre project team member pulling the team down, to a mediocre waiter ruining a nice dinner out, to a mediocre parent unwilling to say or do the hard things that good parenting sometimes requires… mediocrity, at its core, is really something most of us would like to avoid. For those who truly aspire to do great things, beware of the mediocre in your midst. You see mediocrity recognizes greatness… resents it… and seeks to pull it down. Rather than rejoice with or emulate greatness, when the mediocre encounter it, they want to destroy it. You see, true greatness makes the mediocre feel “less than” and rather than work harder to become better, the mediocre would rather you become mediocre too. It could be the athlete who tells his teammates to slow down during pre-season wind sprints, or the teacher who tells her colleague to stop using so much technology in the classroom, or even the sales rep who belittles a coworker for staying late, the bottom line is they do not want to work harder to get better and they don’t like that you do. Watch out for the cynics too. Cynical people are sometimes nothing more than mediocrity with a bad attitude (which they try and mask by cutting everything else down). You can almost hear them rolling their eyes as they talk. Cynicism is cancer of the attitude and you do not need to hang out with it. You deserve better. This entry was posted in dave weber, goliaths, mediocrity, sticks and stones and tagged Cynicism, goliaths, mediocrity, Sticks & Stones, Team on August 11, 2009 by Dave Weber. Well, ready or not here it comes! We leave for Burkina Faso, Africa in 4 days! Just yesterday, our entire team gathered together to go over last minute details and to learn more about the villages and people we will be visiting. In addition to visiting where wells have already been built, we hope to scout out other villages where future wells can be dug and more lives impacted. Because many people will be reading this blog, if you are looking for a way to really make difference in this world, I strongly encourage you to partner with me in helping the guys in Dry Tears. Their organization is truly committed to their mission of “Building wells. Building lives.” All of the money given goes directly to help others. None of the guys nor their Board of Directors is paid and the focus is truly on helping others…even this trip to Africa is not being paid for with money given to Dry Tears. Here is the amazing thing, your school, company, church, or organization can actually fund the building of a well for only $5,000. Do you realize how easy it is to impact an entire community…water changes everything! I can’t wait to get there! This entry was posted in Uncategorized and tagged Africa, Dry Tears, goliaths, Logan, Make a Difference, Team on November 17, 2008 by Dave Weber.